Are you heading into your 3rd year and would like to know about writing a dissertation? Or are you just interested to know what it feels like throughout the year long experience of formulating your own work? Then check out the following tips and highlights of my year-long journey writing my personal research piece! Don’t leave the preparation or formulation of ideas till the start of the semester. Your final year is quite a step up from the year before, and having a head start with a clear idea of what you want to do will help you relieve some of those weight. #2 – Get the administration out of the way! You will want to focus on content, research and the actual writing itself, not on completing administrative papers or logistics. If you already have a clear idea of what you would like to do, head to your relevant staff members to get ethical, funding or logistical approval. This way, everything is in place to give you a piece of mind to conduct your piece of research. Whether you are heading into the field for research or doing a literary review, the time you have from the summer months to November are crucial to get your results in place. I completed all my research and had all my results in place by July, such was my over-enthusiastic drive to make sure my dissertation wouldn’t take up too much time during term time. Knock on their doors, send them emails… make sure you meet up with professors who aren’t your dissertation supervisor. They are crucial in getting an encompassing view on your research and provide useful insights to things you might have never thought of. They might not have expertise in your field, but what I’ve learnt most is that friends who might not study the same subject or who have a different life experience to yours can point out mistakes you might never notice. Imagine them as lawyers reading your dissertation – they scrutinise and give you insights to the way your grammar and vocabulary is structured and what makes this brilliant is that your piece of writing is not only academically sound, but it can also be understood by the public. All the best to the next batch of dissertation writers! This entry was posted in Uncategorized on 12th Jun, 2016 by jkc207. Keen to provide a friendly, peer-to-peer support for incoming freshers for the next academic year? Then the Sociology, Philosophy and Anthropology department wants you! The SPA Buddy Scheme is a Peer Mentoring programme run by students, for students. Starting out at university can be a big change, and the Buddy Scheme aims to provide pastoral support for first year students to help them feel more settled in the university. Keen to support and empower mentees to find solutions to problems, signposting them to appropriate services and building a supportive relationship to get them off their mark? Then the Buddy Scheme is just for you! What will you take away from it? As a former mentor myself, I found that you will develop your verbal and listening skills, alongside understanding how to maintain boundaries while being fully supportive in understanding the experience of working with the needs of students in a higher education institute. This entry was posted in Uncategorized on 1st May, 2016 by jkc207. 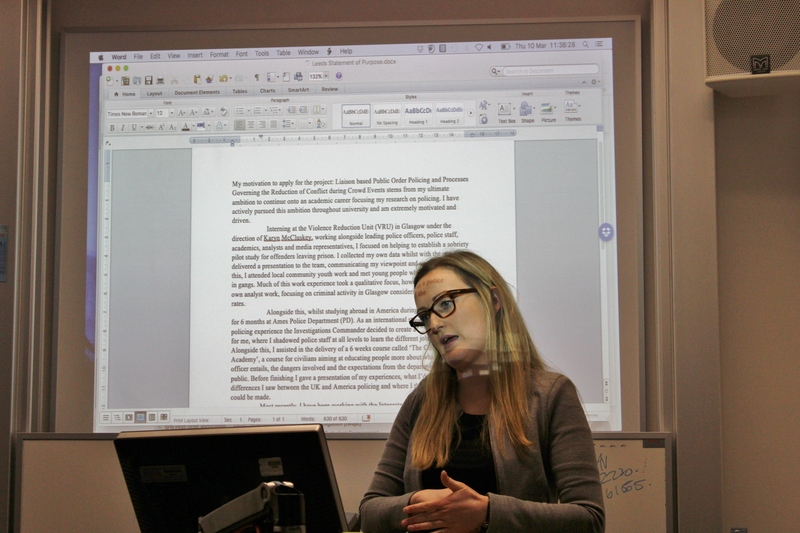 This week we catch up with Katharine Boyd, lecturer in Criminology in our department. Hi Katharine, I hope you are well! Thank you for doing this interview. Could you give us a brief introduction about yourself? Katharine: Hi Jason! I’m doing well, thank you. I’m a criminologist here at Exeter. My research focuses on terrorism, or political and religiously motivated violence, as well as evidence-based policing and alcohol related violence. I moved here from NYC a year and a half ago and I suppose I can’t help but mention that I row, since I’m training 8 times a week! What got you interested in researching policy and literature regarding terrorism and violence? Katharine: It may sound cliché, but I became inspired to research terrorism following 9/11. After this tragedy people suggested numerous strategies for how to respond, some more reasonable than others, and after doing some digging I realized there’s not a lot of research done on terrorism and evaluating counterterrorism policies. I feel it’s important that policy decisions are informed by research and we do not make important, consequential decisions based solely on emotional or ideological rhetoric. So, I guess, I am still quite idealistic hoping to someday contribute to a safer and more peaceful world by producing relevant research and by teaching students about this complex and important topic so they are informed citizens. Congratulations on receiving funding of £249,974 from the Police Knowledge Fund HEFCE and College of Policing Grant. Could you let us know what sort of research will you be pursuing with this? Katharine: Thanks! This is a very exciting opportunity for me and my colleagues – Brian Rappert and Hannah Farrimond, also in SPA, and Mark Pearson and Iain Lang in the med school –to work with the Devon & Cornwall Police and the OPCC. The ExPERT project has numerous components related to evidence-based policing. The project aims to develop and sustain capacity amongst police officers and staff for evidence-based practice, to do research that is relevant to the realities of policing and accelerates evidence-based approaches, and to improve knowledge transfer between the police and academia. The ExPERT Project includes four components to meet these needs. The first are workshops to teach police officers and staff how to identify, critically appraise, and utilize research evidence. The second component is a series of Project Generation Forums (PGFs) where the police, academics, and community stakeholders meet for the co-production of research projects. PGFs are used to identify specific topics of concern and develop concrete empirical research projects. The third component to the ExPERT Project is the use of knowledge brokers to bridge the gap between research and practice communities by exchanging knowledge and information held within these different groups. Short, goal-oriented secondments for police and university staff will enable us to identify areas where research can improve policing and embed evidence into practice. The last component is to conduct systematic reviews that summarize research evidence on topics by identifying, assessing, and synthesizing the existing evidence. Systematic reviews produce evidence that is more robust than a single study and provide valuable information for evidence-based policy making. How has the international outlook on counterterrorist policies by governments shifted over the years since the 9/11 attacks? Katharine: Well, I think there is greater international attention to what counterterrorism policies are being used worldwide. Social media is a platform where information is shared and it may be more difficult for governments to conduct themselves without public oversight. People are more aware of, and interested in considering, the unintended effects of counterterrorism measures, and therefore may be more critical of certain policies. At the same time, people who feel threatened, especially just after an incident, may understandably feel motivated by retribution and endorse short-sited policies. I like to think that governments will be prudent and consider international opinions when making big policy decisions, though there is no guarantee this would necessarily affects outcomes. It all depends on who holds powerful positions. This brings up the importance of elections. How do you see counterterrorism policy changing in the future? Katharine: I think polices to prevent terrorism will continue to be advocated for and developed. Studies show that not all counterterrorism measures produce the intended effect, and similar policies may not produce the same effect on different types of groups. More research in this area is critical. Governments have been funding research on terrorism and counterterrorism policies, but whether accurate and relevant information is utilized in policy-making is an on-going question. One of your research interests happens to be alcohol related violence. Is this solely down to alcohol causing the violence or a socially produced violence as a result of its consumption? Katharine: I’ve only recently started studying alcohol-related violence since I’ve moved to the UK and started working on the #RU2drunk initiative. In England and Wales, over half of the violent encounters between adults are alcohol related. Obviously most people who consume alcohol are not involved in violence, so I wouldn’t say it causes violence directly. People have described a ‘binge and brawl’ culture in the UK that suggests a relationship between drinking and violence that is influenced by the context and environment. Could you take us through what goes on in someone’s mind when drinking alcohol? What goes through this person’s mind when consuming it? Why is there this heighten aggressiveness towards not only violence, but a heightened motivation to attempt acts that one would normally not do? Katharine: I think these questions may be better answered by a psychologist or neurologist! From what is known about alcohol as a substance, it affects neurotransmitters and therefore brain chemistry, which influences people’s perceptions and behaviour. Rather than simply attributing aggressive behaviour to alcohol alone, however, I think it’s important to note the social and environmental factors that influence the relationship between alcohol and aggressiveness. Social psychology and criminology show how people – including you! – behave differently in different contexts. I’m sure you can think of a time, especially when you were an adolescent, when you did something that you feel was very ‘out-of-character’. Did you explain or justify your behaviour in relation to a substance and/or circumstantial and social factors? Well I think it’s necessary to consider the interpersonal setting when assessing the relationship between alcohol and aggression. Finally, having been in the university for over a year now, how would you reflect on your experiences so far? Katharine: I’ve really enjoyed it! Both the city and the Uni. I admit when I was moving here from New York City I was concerned Exeter would feel ‘too small’ for me, but Exeter has many of the conveniences of a city that I like and it is truly a beautiful place. I love the rolling hills, the historic buildings, and the quayside. I’m glad I started rowing here so I get to spend hours on the river! As for the university, I really can’t speak highly enough of the colleagues in my department and in Q-step. I am so fortunate to work and develop research ideas with such great people. And, of course, I really enjoy the students here as well! I’ve enjoyed getting to know students who have taken a few of my modules and students – like you – who I just see around campus all the time! Overall I’m really glad I came to Exeter and it’s been a great year and a half! This entry was posted in Uncategorized on 26th Mar, 2016 by jkc207. The long-awaited SPA Post-graduate Applications Workshop was held this past Thursday, the 10th of March. If you wanted to go but didn’t get the chance, here are the highlights of the event to keep you informed on the realities of social science postgraduate applications! The workshop was conducted by Jess Wiemer, second year Anthropology student,in partnership with the SPA department as a Students as Change Agents project. Talks lasted approximately an hour and a half, followed by a chance to chat with the speakers over refreshments. The subject of postgraduate applications in sociology, philosophy, or anthropology was approached from four different perspectives by the four speakers. The first was Professor Susan Kelly, one of the Sociology Professors in the department and Director of Post-Graduate Studies in SPA. She spoke about how to write post-graduate proposals. 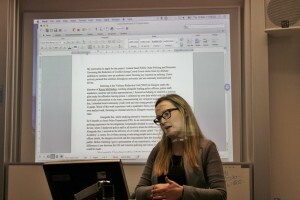 She provided excellent resources for good proposal writing in the forms of books and websites, including Przeworski and Salomon’s The Art of Writing Proposals (1995) and the ESRC guidance to research grant proposals found at http://www.esrc.ac.uk/funding/guidance-for-applicants/how-to-write-a-good-research-grant-proposal/. She explained how to justify the costs of the research and connect to the research interests of potential supervisors and concluded by discussing the typical structure of a proposal. 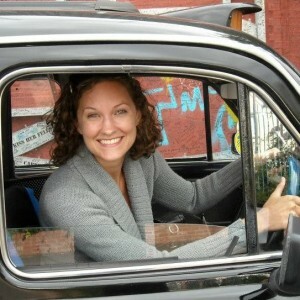 The second speaker was Dr. Andrea Butcher, anthropology lecturer at the University of Exeter. 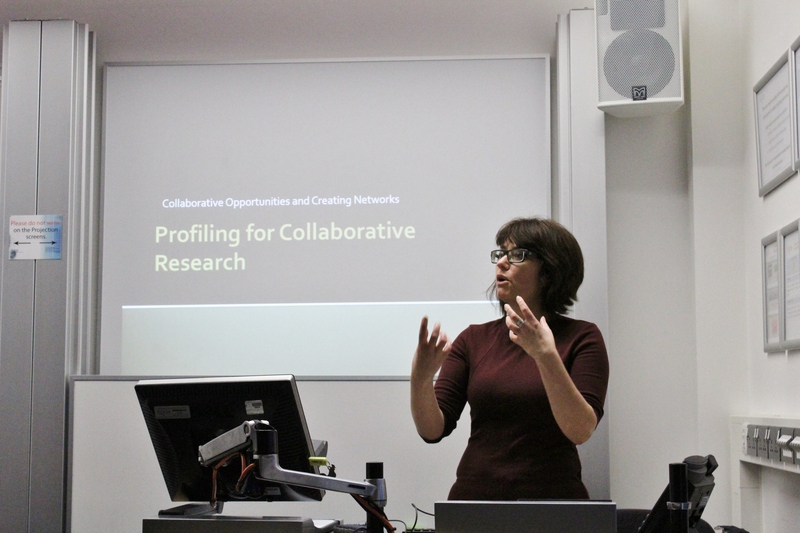 She spoke about the importance of collaborative research and how to profile oneself for these collaborations. She explained the changing values placed on the social sciences and emphasised the current requirements to demonstrate impact outside of academia. She spoke about how interdisciplinary or multidisciplinary collaborations can help provide funding for research through the demonstration of social, economic, or political impact. She provided links to the Research Excellence Framework (REF) website, which gives information on the expectations of research (http://www.ref.ac.uk/), and to the Arts and Humanities Research Council (AHRC) Collaborative Doctoral Partnership Consortium website, which includes a list of different collaborative organisations (http://www.ahrc-cdp.org/about/). She concluded by stressing the importance of networking and making yourself known through online profiles on sites such as LinkedIn and Twitter and through joining organisations like the Association of Social Anthropologists (ASA). 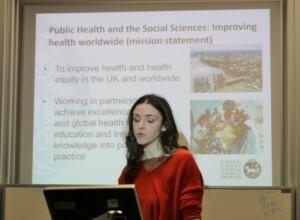 The third speaker was Lauren Redfern, Exeter Alumni and MA student at the London School of Hygiene and Tropical Medicine. She spoke about post-graduate education and how to use your undergraduate degree to your advantage. She explained how skills acquired through experience may be even more relevant than academic excellence, and that these skills can come from areas which may not always seem relevant to the future research project. Drawing on her own experience she explained how her internship with an anthropological filmmaker give her the research skillsshe could highlight in her application for a medical research Masters programme. She explained that mixed methods are becoming more common and asked for in the social sciences and stressed interdisciplinary collaboration. She concluded by stating that the most important thing to keep in mind when developing research is to focus on an area that is needed. The final speaker was Ashley Kilgallon, Exeter Alumni and PhD student at the University of Leeds. She spoke about the process of application to publication and the realities of the PhD journey. She also stressed the importance of interdisciplinary collaboration in the social sciences. She provided an example from her own research of the Police Liaison Teams of the Metropolitan Police Service. She explained that it was collaborating with the police force that provided her with the access needed to conduct her research. Collaboration, she explained, built trust between her and the employees of the Metropolitan Police Service. She then made several useful suggestions on how to conduct oneself in an interview for applications to research programmes. She stressed the importance of networking, field work, and having passion for your research. She concluded by noting that what makes you stand out is your drive, and to demonstrate this you must stay true to your character no matter what. The SPA Post-Grad Applications Workshop was one of many events conducted to inform students about careers and postgraduate education within the social sciences. The event was a wonderful opportunity to ask questions about the postgraduate journey to those who have already, or are currently, experiencing it. The speakers provided helpful advice on writing proposals, getting grants, conducting research, and publishing material. Informally chatting with them over refreshments afterward was a great way to network and to gain knowledge on the realities of social science academia. The SPA department at the University of Exeter continues to collaborate with the Careers office and Students as Change Agents projects to develop creative programmes and events to support its students. If you desire to organise an event, create your own Students as Change Agents project to make your idea into a reality! This entry was posted in Uncategorized on 13th Mar, 2016 by jw624. Anthropology is often seen by the general population as a discipline which deals solely with broad, theoretical concepts. Being a discipline based in theory, it is not seen to have much practical use outside of academia. Until I began studying anthropology at the University of Exeter, I was among those who felt that way. I thought anthropology was interesting, but not very applicable. However, with a growing globalised world, anthropology is more relevant to practical life than ever before. Anthropology is necessary in international and European policy-making organisations, advocacy and aid groups, tourism, heritage sites, diplomacy, journalism, and day-to-day life. There are many examples of the uses of anthropology in Exeter, which I have come to learn about through my studies. One example is the recent debate over the repatriation of a collection of artefacts from the RAMM (Royal Albert Memorial Museum) and how this involves changing attitudes toward ownership and the importance of material culture and heritage. Repatriation of museum-based artefacts is an issue that many museums across the UK are currently facing. The RAMM in Exeter has held ethnographic collections from across the world for over a hundred years. One particular exhibit houses artefacts from various First Nations peoples of Canada, some of which were acquired during the colonization of Canada at a time of enforced power hierarchies between indigenous peoples and colonists. Museum curators must now re-examine the roots of these artefact acquisitions and the underlying ethical problems. They must also consider the educational value of these items, and where that value is best put to use. Of particular interest is Crowfoot’s regalia in the RAMM’s ethnographic exhibit. The RAMM has been in conversation with the Siksika Blackfoot elders to return the regalia to Bow Crossing, Alberta, Canada (Eccles 2015). Herman Yellow Old Woman, a cultural curator at the Blackfoot Crossing Historical Park museum east of Calgary on Siksika Nation, stated that repatriating the regalia would be ‘bringing [Crowfoot’s] spirit home’ (Dempster 2014). He went further to say, ‘To bring back these artefacts to our community will give us a sense of pride… Our children are starting to lose their identity and I think for these kind of artefacts to come back will give them a boost and a positive energy to connect back to who they are as Blackfoot people’ (Dempster 2014). Repatriation of the regalia would evidently contribute to the remembrance of cultural and historical identities of Blackfoot nations and be an educational asset to Canadians visiting the Blackfoot Crossing Historical Park museum. The museum itself also supports the repatriation. Tony Eccles, curator of the RAMM, was very supportive of the repatriation, stating, ‘Isn’t it about time Crowfoot came home?’ (Dempster 2014). Herman Yellow Old Woman planned to have the regalia returned to the Blackfoot Crossing museum by spring of 2015 (Dempster 2014). Unfortunately, though the regalia is no longer on display, this has yet to occur. Eccles stated that there is still a long way to go before the return of the regalia is agreed upon between involved parties, but was happy to say the RAMM and Exeter City Council are heavily involved in these negotiations. The content of this continuing discourse is not yet open to the public, but readers are urged to keep an eye out for the next issue of the Journal of Museum Ethnography, which will include an article written by Tony Eccles, Alison Brown, and Anita Herle about their involvement with the Blackfoot. Even small cities like Exeter are alive with international culture and discourse. As an anthropology student, I find places like the RAMM fascinating, not only for its historical ethnographic information but for its involvement with current cultures today. The repatriation of Crowfoot’s regalia is but one example of how anthropology can be used practically to aid in the sustainability of heritage in a modern world. This goes to show that anthropology is so much more than an academic discipline. Studying anthropology at Exeter has given me so much more insight into its applications in ways I never would have considered: anthropological theory does not need to be restricted to academic writing but has many uses for a range of topical cultural and political issues. Eccles, T. 2015: RAMM Meets Blackfoot Representatives, RAMM: World Cultures. [online] Accessed at http://rammworldcultures.org.uk/ramm-meets-blackfoot-representatives/ on 18/02/2016. Dempster, A. 2014: Chief Crowfoot’s Regalia to Return Home to Alberta, CBC News. [online] Accessed at http://www.cbc.ca/news/canada/calgary/chief-crowfoot-s-regalia-to-return-home-to-alberta-1.2654211 on 18/02/2016. 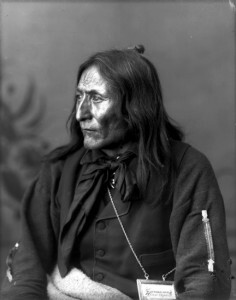 Encyclopaedia Britannica, Inc. Crowfoot: Blackfoot Chief, Encyclopaedia Britannica. [image] Accessed at http://www.britannica.com/biography/Crowfoot on 19/02/2016. This entry was posted in Anthropology, Uncategorized on 9th Mar, 2016 by jw624. Christopher Thorpe is the latest addition to Exeter University’s Sociology, Philosophy and Anthropology department, taking over from Anthony King, who left in December. 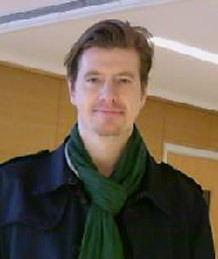 Thorpe graduated from the University of Aberdeen in 2008 with a PhD in Sociology, having already secured a lecturing role at the Robert Gordon University in 2007. In this interview, we ask him about what led him to the subject, his philosophical thoughts and his life prior to and since academia. Could you tell us a little about your life prior to academia, and how you became interested in Sociology? When I left school I had no idea what I wanted to do in terms of subject choice for further study. I wasn’t particularly interested in going to university, so I didn’t. I wanted to travel and work abroad, in Italy specifically, so that’s what I did. I worked on a campsite, learned Italian fluently and subsequently returned to Lake Garda and Verona every year during the summers whilst I did my undergraduate degree in sociology. In terms of what attracted me to sociology, this is a vexed question! I tend to think such a question is a bit misleading because it implies I made a conscious decision to do sociology, which of course, I did at one level. What I didn’t do, or rather, what I cannot lay claim to, are the very many aspects of myself that meant sociology struck me as the only game in town. I went to private school and grew up in a boarding house but my father went to the LSE and was a local Labour candidate for a while (it’s a long story!). Sociological ways of thinking enabled me to understand the social conditions out of which my own selfhood developed, a sense of selfhood that I always felt slightly at odds with at one level. Therein, I believe, lays part of the truth behind what was to become something akin to a very intense relationship! For those who aren’t familiar with it, what kind of research did you undertake during your time at Aberdeen? During my time at Aberdeen, and at the Robert Gordon University before that, I began to develop my research interests. One strand of my work, which I hope to reengage with very soon, builds on the subject of my PhD thesis and is concerned with inter-cultural dynamics and processes between Italy and Britain. In particular, I am interested in the ways culture generally, but Italian culture specifically, is understood, shaped and consumed by different social class-groups in the U.K. Part of this involves looking at the ways in which aspects of Italian culture that seem quite banal for native Italians are re-appropriated into the lifestyles of dominant social groups as markers of class-based taste and distinction. In terms of my interest in (Italian) culture, my next project, which I have discussed with Jeffrey Alexander, whom I was fortunate enough to meet, will involve using my PhD thesis as the basis for writing a structural hermeneutics of international cultural interchange between Italy and Britain. On a completely different note, I am presently in the latter stages of writing a social theory textbook aimed at social work students and professionals entitled: Social Theory for Social Work: Ideas and Applications. Part of my teaching remit involved teaching Masters level social work postgraduates. They loved the insights that social theory gave them, but the issue of how to incorporate them into their thinking and practice was not clear to them, and the book aims to address this. Do you identify with any schools of Sociology in particular? I suppose I do, yes, but always in a context wherein I am aware that this says as much about me as it does about the merits of the ideas of that school. An act of identification always implies a relationship and relationships are more likely to take hold and develop in certain contexts and not others. In fact, the issue of the context in which an elective affinity springs up between a given thinker and a particular set of ideas is one which interests me a great deal and is something I have written about. Do you have a favourite academic book/paper/piece of research etc.? As a piece of writing I was massively impressed with Simon Charlesworth’s ‘A Phenomenology of Working-Class Experience’. I think, really it should have been entitled ‘Phenomenology of Unemployment’, but there you go. I think his use of language, once you take the time to master it, is brilliant. I know certain writing styles are accused as being overly obfuscatory, but to write about the things he does, and so well, I believe requires going beyond everyday ways of thinking and writing. I am okay with that. I wish I could write like that. Do you think there are any sociologists/anthropologists/philosophers whose importance and work is underestimated? I can think of a few who are vastly overrated – that would have been an easier question! Not that I think his work is necessarily underestimated, but I don’t believe students are exposed enough to the work of Simmel. I think too, that the work of Norbert Elias is a considerable achievement, although like Simmel, his work is regarded as something a little off the beaten track. Elias obviously owes a large debt to Simmel, which he seems very little concerned to have acknowledged, ironically! I think sociology in the present day would have been quite different had the work of these two thinkers been embraced more by the discipline. Is there a major issue – whether philosophical or political – on which you’ve changed your mind? This will sound incredibly soppy, but I am a bit of an old romantic at heart. I think my views on the issue of love have changed. One can, and many have, tried to philosophize and think about love sociologically and anthropologically, but I have never read anything that I feel really does the subject justice. Bourdieu’s analysis of love, for example, ends in a kind of self-affirming narcissism. Luhmann focusses on the different forms love has taken at different times and what is understood to constitute love, but really, as it is experienced and in terms of its power as a motivating force in human life, it remains a very powerful and largely analytically resistant topic. I read quite recently a relatively unknown book called ‘Love and Limerence’, which I thought was brilliant (I wouldn’t say I loved it), but ironically the author ended by concluding that her study had not really provided her with any real insights into what love is or why it is capable of exerting such strong feelings – and not necessarily positive ones – over people. Finally, can you name a favourite novel, album and TV series? My favourite novel is tough, not least because one’s tastes change with the passing of time. That said, I am rather fond of Dostoevsky’s Crime and Punishment. The story is a very simple one and yet it operates on so many levels. It’s a psychological thriller of the highest order. My favourite album is Michael Jackson’s Thriller. I cannot sit still listening to it. My favourite TV series is ITV’s adaptation of the Sherlock Holmes stories featuring the superlative, Jeremy Brett. Cumberbatch is good but when I watch Brett at no point do I ever feel that he is acting. I like that. This entry was posted in Uncategorized on 6th Mar, 2016 by sf342. Events and conferences are valuable ways to learn more about current research and debates. They can provide an opportunity to network and provide some wonderful new ideas for PhD research. Many conferences are open to students and are not restricted to doctorate-level academics, but some may be restricted which should be looked out for. Below are some examples of upcoming social science conferences in 2016 that may peak your interest! 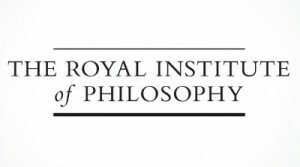 The Royal Institute of Philosophy is conducting their annual conference on July 7th-8th 2016 at our very own University of Exeter! The topic will be moral enhancement and the possibility to morally enhance individuals by manipulating their genomes or brain chemistry. This conference will bring together moral philosophers, philosophers of biology, philosophers of technology, and neuropsychologists. 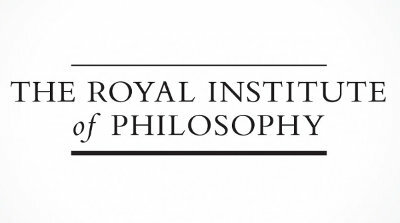 For more information visit http://royalinstitutephilosophy.org/events/conferences/. You can sign up to the following event by visiting http://store.dmu.ac.uk/browse/extra_info.asp?compid=1&modid=1&deptid=38&catid=131&prodvarid=331. The Association of Social Anthropologists (ASA) is conducting their annual conference on July 4th-7th 2016 at the University of Durham. The topic of this year’s conference is ‘Footprints and Futures: the Time of Anthropology’. Discussions will focus on the direction the discipline of anthropology will take in the future by examining debates on economics and politics, development and energy, health and well-being, cultural evolution, and the different modalities and experiences of fieldwork. This conference expects to attract over 500 social anthropologists and other social scientists. You can read more about this conference and sign up by visiting http://www.theasa.org/conferences/asa16/. The British Association for Biological Anthropology and Osteoarchaeology (BABAO) is conducting their annual conference on September 9th-11th 2016 at the University of Kent. Speakers will be coming from across world, including Canada and the US. For more information on BABAO the 2016 conference, visit http://www.babao.org.uk/index/annual-conference-2016. The following are a few examples of sociology and social anthropology conferences taking place in the UK this year. For a full list of events, go to http://www.britsoc.co.uk/events/forthcoming-events.aspx. Science/Technology/Security: Challenges to global governance? This entry was posted in Uncategorized on 30th Jan, 2016 by jw624. Many students at the university choose to take a Combined Honours degree encompassing two or three courses. In this way, students have the option of studying multiple disciplines they enjoy. Is this option manageable? 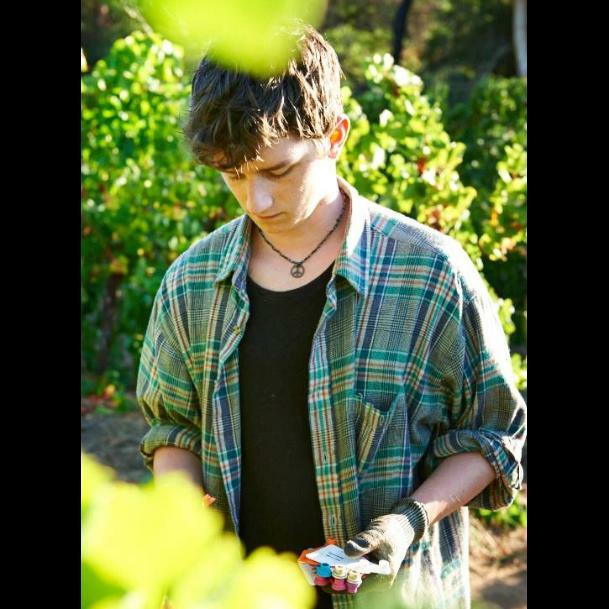 Jess Wiemer interviewed Jack Powys Maurice, a second year BA Archaeology and Anthropology student, to uncover his opinions on his Combined Honours degree. Do you find balancing two courses difficult? Yes. The writing style for both subjects is different. Though the referencing style is the same, there is a philosophical methodology in anthropological writing that’s not in archaeology. It’s difficult to switch from one to another, especially when writing two essays in either subject at the same time. It’s hard to switch between two different mindsets. Do you find one course easier than another? I find anthropology easier than archaeology. I feel like I’m more attuned to anthropology and the philosophical mindset. Why did you decide on Combined Honours? I was interested in both subjects and liked the opportunity to study both equally. I also didn’t want my degree to be narrowed down. I liked the idea that my degree would be broader and be relevant to more career prospects. Yes, I couldn’t be happier. What advice would you give to new students thinking of doing Anthropology and Archaeology? Anthropology has a reading list on each module and archaeology doesn’t. I’ve found that I put a lot less effort into outside reading in archaeology because of this, which is potentially why I’m better at anthropology. I’d suggest putting more effort into outside reading in archaeology despite its lack of reading lists. I don’t put equal value on the courses but suggest to new students that they should. It doesn’t matter if your interest in the courses is unbalanced because they are each worth 50% of your degree. I also suggest to consider your whole degree when picking modules. For example, you can pick anthropology modules that relate to archaeology. This can integrate your degree more effectively. At least for Jack, Combined Honours at the University of Exeter has been a rewarding investment overall. Despite difficulties in managing varied academic writing expectations, it seems to be a great option for the multi-disciplinary mind. This entry was posted in Uncategorized on 10th Jan, 2016 by jw624. Happy New Year! It’s New Year’s Day and with a new year comes a fresh start. Yes, we all know what New Year’s Day means – New Year’s resolutions. But what to make your new resolve? You’ve already tried that no chocolate thing; that never lasts long. Studies say cocoa is good for the heart anyway. Maybe, you think to yourself, it’s time to get more involved, to spruce up your CV. If that’s you, here are six ways that you can get more involved in the university related to your degree! This is a scheme where you get to create your own projects and shape your university experience the way you want. Got an ambitious idea to reshape a course content? Want to work with lecturers to solve a common issue together? Then put it into action! Jason, one of your editors on SPA Undergraduate News, runs a project called Global Exe that deals with conflict resolution and cultural integration through interactive theatre. It’s been running for 2 years now and attracted participants from 4 different continents! Interested to start your own Students As Change Agents project? Then contact: ssis-studentengagement@exeter.ac.uk to let them know of your plans! Twittering for new topics to discuss over the coffee table? Then check out this list of Twitter accounts by organisations around the globe that bring you the latest research findings! @socwomen (Sociologists for Women in Society [SWS]) – Great place to lookout for news regarding feminist research and activism for women throughout the globe. @soc_imagination (Socio Imagination) – Discover fun articles on their columnists’ favourite Sociology books; advice for studying sociology; academic life in sociology and much more. @wileyanthro (Wiley Anthropology) – Keen to discover new books and even exclusive online access to major anthropological publications across the world? Then Wiley’s the place to go! @anthroworks (Anthropology Works) – The anthropology of life is an everyday phenomenon. @anthroworks brings you stories from around the world and unpacks it from an Anthropological angle. @philosophynow (Philosophy Now) – International magazine discussing ideas – from the philosophy of gossip to Marxism. Anything you can think of, they’ve got it. @oupphilosophy (Oxford Philosophy) – This is actually the philosophy team from Oxford University Press, bringing you insights on philosophy through book excerpts, free online articles and even fun news around the globe like the philosophy of Star Wars! The SPA Buddy Scheme is a programme designed to help new students feel comfortable at the university. Second, third, and fourth year students studying within our department are paired up with first year students to give advice on studying, campus life, and provide links to services such as the Wellbeing Centre and departmental staff. It’s a great way to give back and help students in a new and overwhelming situation. It also looks great on your CV! If this sounds like something you want to get involved with, applications for new mentors will be sent out at the end of term. Get in touch with ssis-studentengagement@exeter.ac.uk for more information. Events held at the university are a great way to gain new information about careers, current research, and your degree. Careers events are specific to your needs and can be chosen among degree-related advice or skills building. Keep tabs on the events that you sign up to, because some may be applicable toward your Exeter Award! To sign up to a careers event, log onto https://mycareerzone.exeter.ac.uk and check out what they have to offer. Research talks are a great way to understand more about current events and debates, and may help you decide what you want to do for your dissertation or career. Information about these talks are generally circulated via email through departmental office mailing lists. Keep an eye out and take note of anything you might be interested in! Degree-related talks give specific advice to those studying in certain areas, and are helpful to those who aren’t entirely sure of what they want to do after university. For example, Jess Wiemer is leading a Students As Change Agents project to organise an event for anthropology students who want to get involved in research at the beginning of March. Topics covered will include advice on publishing, fieldwork, and internships. For more information, contact Jess at jw624@exeter.ac.uk. The University of Exeter has its own journal geared towards undergraduates, the Undergraduate Exeter. It is an interdisciplinary journal, and is the perfect way to get your writing noticed and boost your CV! If you are feeling exceptionally proud of an essay you have written, or even simply trying to branch out into writing about subject areas you are interested in, the Undergraduate is a great place to start! The journal added in a new Social Sciences section for print just last month, so it is a brand new opportunity for Sociology and Anthropology writers! If you are interested in submitting an article, visit http://www.theundergraduateexeter.com. All pieces should be written in Microsoft Word and limited to 3000 words. Societies are a great way to meet like-minded people and have some fun! Both the Philosophy Society and the Sociology and Anthropology Society run fantastic events and socials throughout the year. If you like the experience, you can even run for a committee position for the following year! Sign up for membership to the societies through the Guild website at https://www.exeterguild.org/. This entry was posted in Uncategorized on 1st Jan, 2016 by jw624.